Rotherham United Manager Paul Warne couldn’t have been more pleased with his players performance and the win over Derby County this afternoon at the New York Stadium. Derby Boss Frank Lampard probably isn’t as happy. 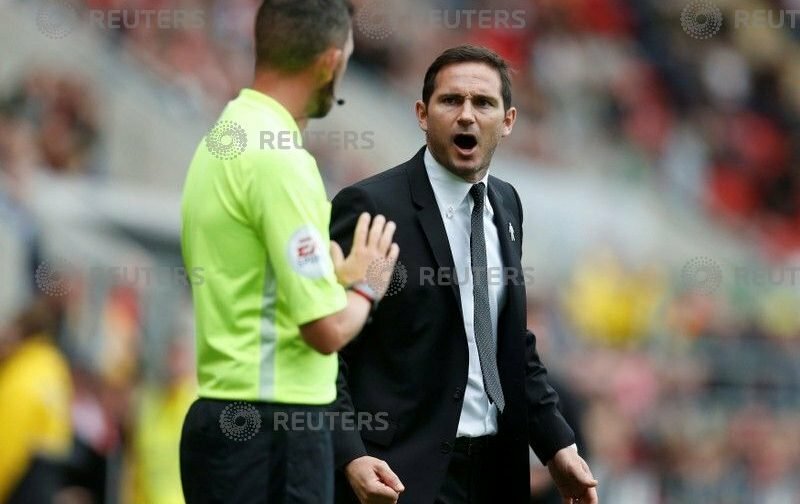 His team lost, his team went down to ten men and he ended up watching the last fifteen minutes or so from the directors box after being shown a red card by referee Peter Bankes. After the game the Rams’ Manager told iFOLLOW that he will be ‘reading the rule book again’ as he wasn’t sure why he was sent off. ‘If it was for leaving the zone then there should have been others sent off too,’ the former England international said. Maybe it was for not only leaving the technical area but for marching up to the linesman and having a go at him when the referee didn’t award Derby what he thought should have been a penalty? Although I think Lampard was correct when he said the referee was quick to fetch the card out.